Where are all the “Law Enforcement medical saves”? That’s the question I had when I started looking into US Law Enforcement statistics on the use of Tactical Combat Casualty Care (TCCC) and Tactical Emergency Casualty Care (TECC). It seemed the more I looked, the less I found and I wanted to know if we in Law Enforcement were really making a difference by using basic TCCC/TECC medical interventions. Before we go any further, I want to make it clear that I have no formal background in medical research or data collection. I’m simply an EMT-trained Law Enforcement officer who saw a need to collect this type of information and I started hammering away on my computer with a club. What I’ve compiled, as I’ll explain below, is a non-scientific set of information and I’m sure I’ve broken every “rule” of legitimate medical research. The information captured is what I feel is relevant to a cop on the street, not the doctor in the ER, professor in the classroom, or any other scholastic type. Additionally, I wanted to be able to show my chain of command some kind of data to support developing TECC training and equipping officers at my agency. I want others in my shoes to be able to use the data I’ve collected to start up their own programs, or at least convince their partners to take medical training seriously. It would be hard for your Chief or Sheriff to look the other way when you have over 300 events to show them in the infographic towards the end of this article. 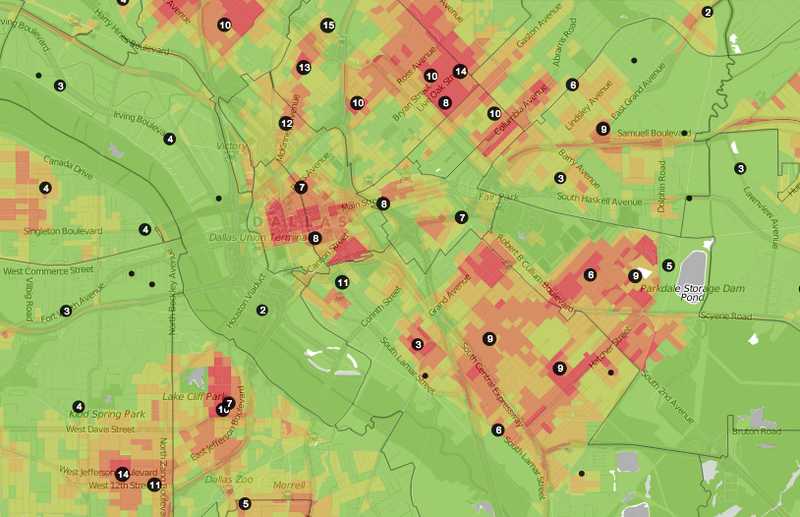 Most importantly, I want this data to be open source for anyone that needs it. This is about potentially saving a life. If this data helps convince just one of my brothers or sisters to carry a tourniquet on their belt, then all this time and effort will be worth it. Here are a few links for those who may be new to TCCC and TECC. These should get you up to speed and give you a good understanding of the principles behind the guidelines. TCCC has gained huge ground over the past 13+ years of war and a key part of its success is the information collected on casualties. Because there’s data to look at and analyze, the Military can implement medical protocols and training to keep up with current trends. While there’s data that slips through the cracks, the 75th Ranger Regiment has something like a 98% TCCC Casualty Card reporting rate, which is pretty impressive. The reason the Military is able to quickly make changes to TCCC is because it’s a Department of Defense program. The DOD gets data from the TCCC Casualty Card (and other sources) and it doesn’t matter if the casualty was a Marine, Airman, or Soldier. 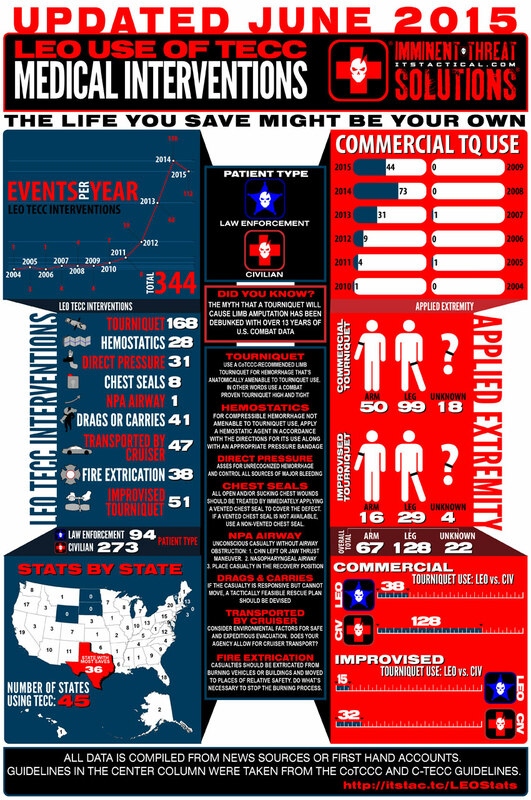 If there’s data to support needed changes in protocols and training, the DOD, with the help of the Committee on Tactical Combat Casualty Care (CoTCCC), can make it happen relatively quickly. On the flip side, the civilian EMS sector lags behind with updating national level training. (I found this out first hand when I completed my EMT training at the beginning of this year.) The non-use of backboards is a recent example and another is equipping EMS units across the country with commercial tourniquets. You would think tourniquets would be a no brainer, right? We have Military data to back up the effectiveness of commercial tourniquets, but there’s no national level mandate to use them. The U.S. Emergency Medical Services delegates its protocols and training down to the local level. This means the Medical Director in your town may run things differently than the town next door. In turn, the run report (information reports completed by EMS personnel) each EMS or Fire agency captures, may stay at the County or State level. This means trying to get everyone on the same page at a national level is impossible. Most of you won’t be surprised when I tell you there’s no national level TECC medical program. As I mentioned above, the EMS system is not designed like the DOD and can’t make changes across the board at the national or even local levels. At this stage it’s impossible to get TECC protocols and training out to everyone like the CoTCCC has done, let alone get that training out toLaw Enforcement officers that most likely have no formal medical background. In the interim, the National Association of Emergency Medical Technicians (NAEMT) is offering a TCCC course and other TCCC style training. 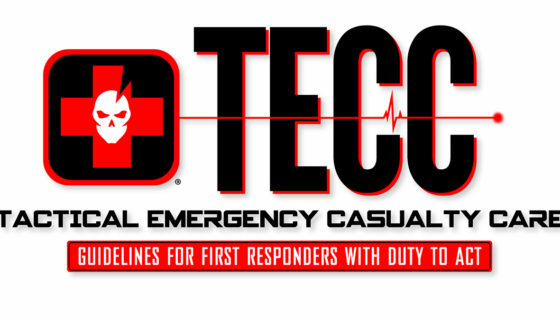 If you take an approved TCCC course through the NAEMT, you’ll receive a TCCC provider card. This is great for a SWAT Medic and could possibly benefit you in court. However, local protocols are going to dictate whether you can perform that cricothyrotomy or needle decompression. On the Law Enforcement side, it looks good in your training records but that’s about it. In my opinion, the NAEMT has really dropped the ball on courses designed for Law Enforcement officers. The LEFR-TCC Course is nothing more than a cut down version of the main TCCC slide presentation and I don’t believe this is the way to come up with a “new” class. I’m curious to see what the new TECC course will be all about, but I’m not getting my hopes up. In my opinion this is just another way for the NAEMT to make money, but that is another discussion. In reference to data, the issue with the NAEMT TCCC courses is that they’re using the Military medical training and the Military data that supports it. While I think the Military data is invaluable overall, it may be hard for an officer to convince their chain of command that their agency needs TECC training when all they have to support it is “Military” data. There are many similarities in Military and LEO wounding patterns, but there are also many differences. 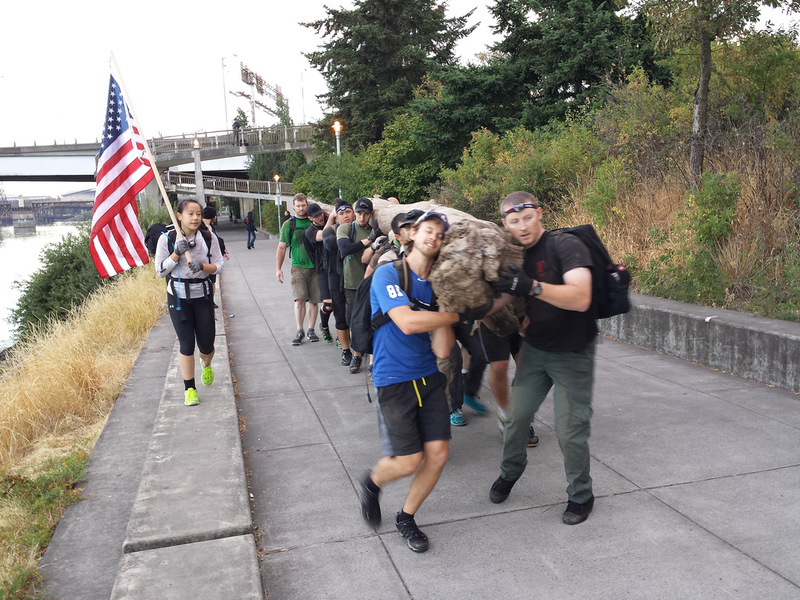 The Military has a group of mostly fit, young and healthy members, while Law Enforcement and the civilian population they’d be helping has everything in between. 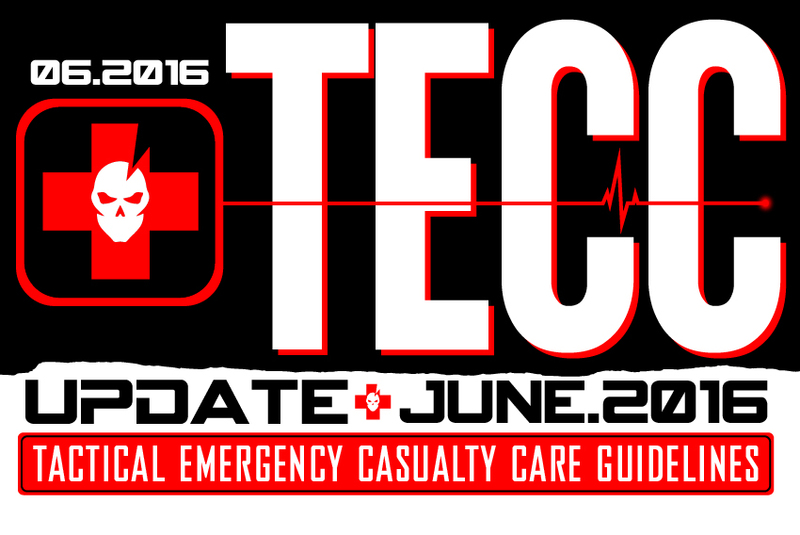 The Committee for Tactical Emergency Casualty Care (C-TECC) has open source guidelines which are more appropriate for Law Enforcement. This group works closely with the CoTCCC and are looking at many of the issues I’ve addressed. I urge everyone to become familiar with the C-TECC and support what this 501c3 Non-Profit Organization is doing. The FBI collects Uniform Crime Reporting (UCR) data, which is a set of crime statistics for the country. They rely on local agencies to report the UCR codes to them in good faith. Our agency captures the UCR data via our report writing system, which is then provided to the FBI. Most people are familiar with the “Law Enforcement Officers Killed and Assaulted” (LEOKA) report, which is released on a yearly basis, but the FBI also collects other data like hate crimes, cargo theft and human trafficking. There’s a great deal of information being captured and The Officers Feloniously Killed data is about the same. While this is great, it made me wonder how many of those officers killed could have been saved by TECC medical interventions? How many of those assaulted were “saved” and given medical aid on scene before EMS arrived? As you see, there’s no treatment or medical intervention data being captured by the FBI. I think another important question is how many LEOs’ are not getting medical attention on scene? The “no aid” is just as important as the saves. How many officers have bled out on scene because no one had the training and equipment to make a difference? Here is one example of a young officer that could have been saved. Officer Guidice bled to death, despite the efforts of his partner to stop the bleeding with his bare hands. In this day and age there’s absolutely no excuse for something like this to happen, but some of us are still using garden hoses as tourniquets! I decided to start looking for data on the Law Enforcement medical interventions that are happening. From the start, I knew this was going to be a daunting task. HIPAA and “liability” are huge hurdles to any data collection in Law Enforcement and EMS. I think liability is the elephant in the room for the Chief’s and Sheriff’s as well. How can you send your officers into harms way on a daily basis and not equip them with proven life saving equipment like a tourniquet? I don’t know the answer to that question, but I wanted to find the data to support it. Factual data is difficult to argue with. I started my search with the Valor Project, as I knew they were collecting “near miss data” and I even reported one of my own incidents from years ago. While the website it still up and running, the data has not been kept up to date. This site was a great concept and I’m not sure why it’s no longer active. Next, I looked at the National Near Miss Program that’s popular with Fire Fighters and I was pleased to find a LEO reporting side. This is a great resource for training, but it isn’t medical related and didn’t have data to collect from. I think the National Near Miss program is great and they do a lot to protect the identity of those providing the information, but as a cop, I know other cops are paranoid about providing anything via computer. At a BBQ, you may get the whole story, but not so much over the internet as liability creeps in. After that, I went through the Officer Down Memorial Page (ODMP) which unfortunately doesn’t specifically list medical interventions in the incident details. You may see it mentioned in the narrative, but for collecting the TECC data needed, it’s not relevant. I decided to resort to my detective skills and rudimentary typing ability to manually search for news stories or other media. I also tried to get first hand accounts from people I knew though networking. Social media, love it or hate it, has been a big help. I’ve also sent “cold call” emails from my government email address requesting follow-ups from stories I’ve found. In some cases, I never received a reply and I think “liability” was the reason. I’ll admit right up front I’m not a bean counter and the first document I started was pretty sad. It had the basics, but was also pretty rough around the edges and took some serious cutting and pasting. I ended up having to dive head first into Apple Numbers and figure out how to work with spreadsheets. I considered the data I needed to start up a TECC program at my agency and also thought about the training and lack of time allocated to teaching anything medical related. Should we teach only tourniquets? Should we spend most of our time on arms or legs? How often are we using chest seals? Do we need to train more on drags and carries? Does the lack of uses mean we shouldn’t spend time training in that area? Those questions developed into the infographic data you see above. I used the data I collected and charted the things I thought would benefit everyone the most. I want to let the numbers speak for themselves and allow all of you to decide what’s important to you and/or your agency. The data collected is directly related to the TCCC and TECC guidelines. 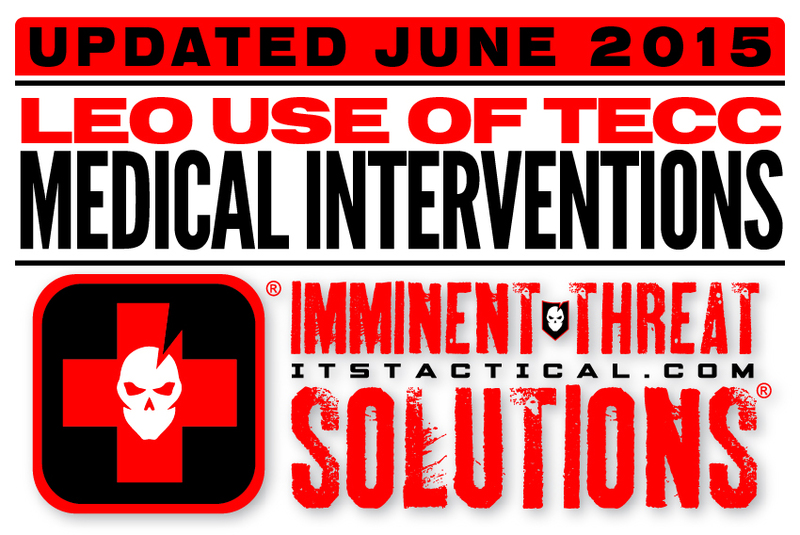 For this reason, medical interventions like CPR or AED uses are not captured. These are Law Enforcement officers with or without formal medical training. One interesting tidbit is the amount of officers who were/are in the Military and used that training or equipment to save a life. The events also show whether the patient was a Law Enforcement officer or civilian. Additionally I included events where “no aid” was provided, as we need to learn from those events as well. As I mentioned earlier, I wonder how many FBI/LEO KIA incidents we could have prevented? Officer Vincent Guidice is just one of many. Make no mistake, this data is by no means complete and it would be next to impossible to track down every TECC event out there. I do think there’s plenty to be digested from the events I’ve been able to find though. The Military has its data and it’s time we in Law Enforcement build our own. I encourage anyone with an Law Enforcement specific event to share it so we can add your info to future updates. Until something formal comes along, we’ve set up the following email address you can use to report incidents you might come across. leotecc[at]itstactical.com We’re all in this together and it will benefit everyone. If you’re curious about the source articles I’ve used to pool this data together, feel free to download this PDF that has links to the news articles. I want to thank Bryan and the ITS Crew for helping to spread this information out to all of you. This started out in a small Facebook group of friends and my hope is that the data continues to spread to help others. So pass on the infographic, share it, use it for all it’s worth and remember, the life you save might just be your own!